• Do you want to better understand crucial issues that will play an important role in Asia’s future prospects? • Would you like to get practical experience, learn new skills by working on real-world problems of public and private sector and expand your professional network? • Are you a young professional or graduate student with previous work experience and very good command of English? Asia offers many challenges and opportunities. It has the world’s fastest-growing economies, the majority of the global population, key influencers in international affairs and leaders in innovations. Project ALYAS (AMO Lectures for Young Asia Scholars) fosters long-term relationships and cooperation among young professionals, experts and practitioners. Our goal is to prepare the next generation of leaders in the field of Asian affairs. You can be one of them! During the program you will be invited to two intense sessions consisting of seminars, debates, workshops, mentoring and team-building activities (3 days per session, in Prague). You will also become a part of a growing network of talented young professionals focusing on Asian. Besides meeting new likeminded people, you will get an opportunity to expand your professional network, learn new skills and immediately put them in practice by working on real-world issues for the program partners. What is the topic of ALYAS 2019? How ALYAS works? What to expect? ALYAS participants will be divided into several teams. Each team will have a main supervisor from one of the partner organizations. You and supervisors will meet for an introductory meeting at the end of March 2019. During the introductory meeting, you will attend discussions, seminars and workshops, but will also meet your project supervisors and start working on policy papers or case-studies. You will have five weeks to finish the assigned projects. During that time, you should arrange one conference call with your supervisor, make sure your project in on the track and get feedback on your progress. 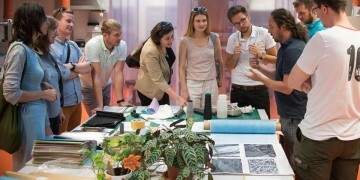 At the beginning of May 2019, you will meet again to attend workshops, discussions, present the final results and get an evaluation. Based on merit, selected participants will be offered an internship or job opportunity with one of our partner organizations. Who are the participants? Who can apply? The deadline for application is February 24, 2019. We are looking forward to your application! In case of your acceptance, we charge a one-time participation fee of 2 000 CZK (without VAT if apply). We cover your program arrangement including board during the day, however you will be expected to cover your travel expenses and accommodation if necessary. You are expected to attend both program component units in full and get actively involved in the team project. Who can you contact for more questions and information? 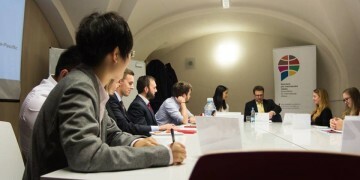 The program is supported by the Taipei Economic and Culture Office in Prague. 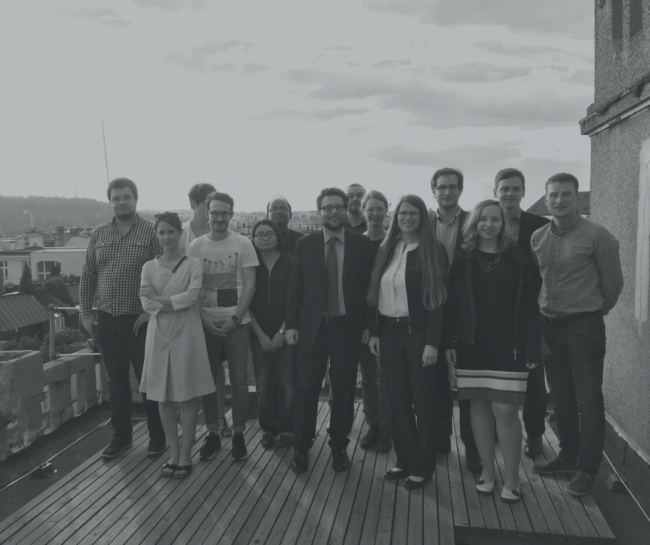 Apply for the 8th year of the Czech-German Young Professionals Program!